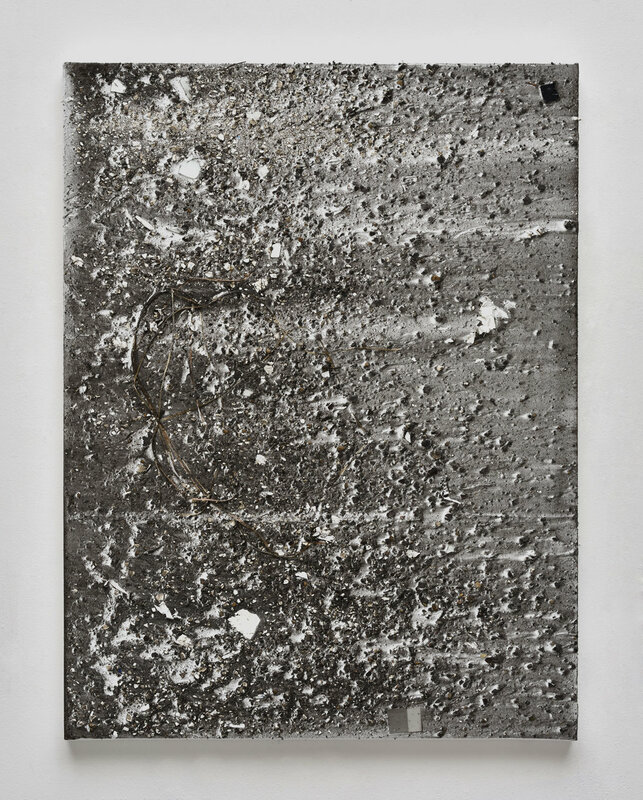 Thomas Fougeirol’s playground is the surface of the painting and, having many years ago rid himself of the painter’s traditional tools, he envisages the act of painting and his contact with the canvas through the intermediary of imprints using pieces of fabrics and metal grids etc. In this way, painting has become a field of research in which there are no preparatory stages; with each new experiment (and there are many), the gesture becomes better attuned and more precise, with the inevitable consequence of a substantial production of canvasses before arriving at the right balance between the gesture and the result he is hoping for. Thomas Fougeirol therefore envisages a painting as the space that both records and displays the traces of his creative process. 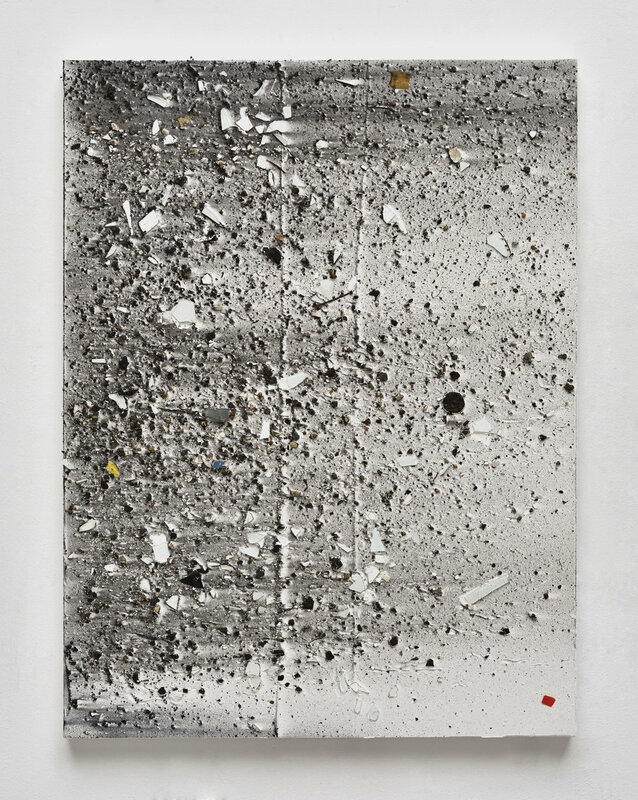 His latest series of works is no exception: they summarize his practice to date and take it in a new direction. After creating imprinting gestures that also remove and tear away material, he replaces what has been removed with a surplus of new material made up of waste or things lying around in his studio i.e. downgraded materials (dust, cut-out pieces of canvas, bits of glass, fragments of colored paper...). These elements are incorporated into the painting where they are held captive within a dense layer of paint. This production, which is deliberately unattractive from a formal point of view, is part and parcel of the artist’s reflection on the misshapen in which the notions of relegation, disorder, horizontality and base materialism are at work. Comparable from an aesthetic point of view to the walls (or floor) of the studio, these paintings are like the resurgence of a de-structured pictural narrative. 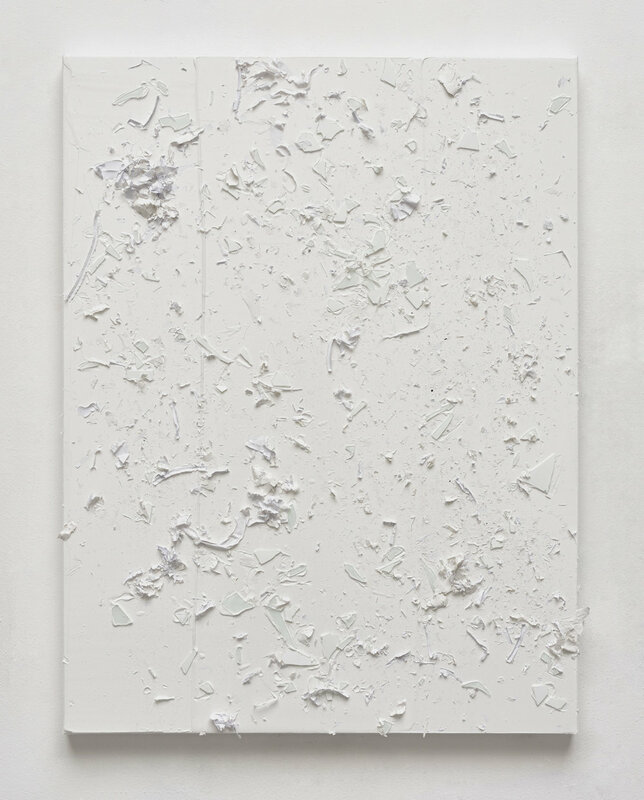 But what is the most surprising in this new series is the dialectic between what is tactile and what is visible, which establishes an extraordinary narrow gap between the two, something that was already implied in Fougeirol’s rain paintings (tableaux de pluie, 2011), which resembled fragmented sections of the surface of the moon.